Federal Poly Nasarawa supplementary admission form is out – Federal Polytechnic Nasarawa supplementary post UTME screening exercise form and HND admission form for the 2018/2019 academic session are now on sale. Applications are invited from suitably qualified and interested candidates for admission into the following additional programmes of the Polytechnic for the 2018/2019 Academic Session. 1 Federal Polytechnic Nasarawa Supplementary Admission Available Programmes. 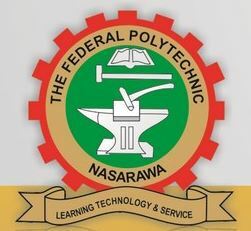 2 Federal Polytechnic Nasarawa Supplementary Post UTME & HND Requirements. 3 How to Apply for Federal Polytechnic Nasarawa Supplementary Post UTME & HND Admission. Federal Polytechnic Nasarawa Supplementary Admission Available Programmes. Federal Polytechnic Nasarawa Supplementary Post UTME & HND Requirements. How to Apply for Federal Polytechnic Nasarawa Supplementary Post UTME & HND Admission. The deadline for submission of applications is three (3) weeks from the date of this publication — Date of Publication :19th October, 2018.